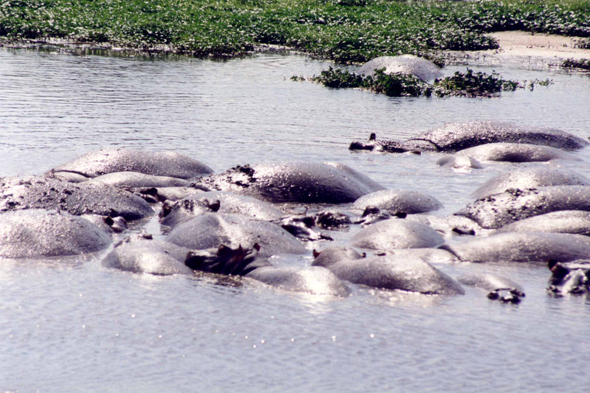 The hippopotamus (Hippopotamus amphibius), his Latin name means river horse, it is the second bigger land animal and can weigh until three tons. His skin is naked, his auditory canals and nostril sealable. It lives in stretches of water, rivers with flat banks.